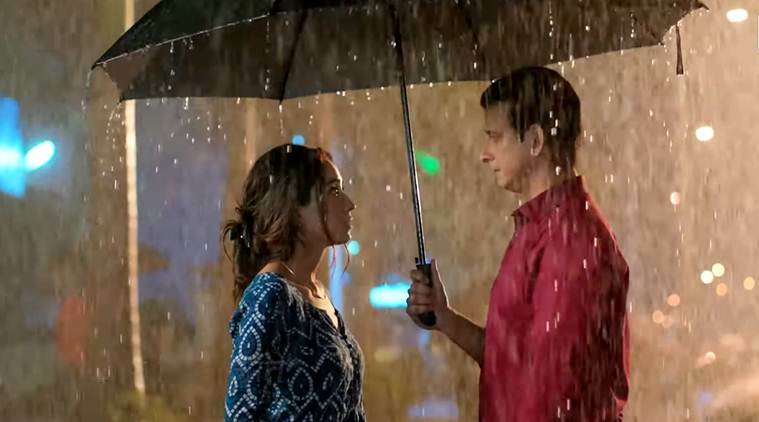 Baarish trailer: Headlined by actors Sharman Joshi and Asha Negi, the web show is a story of a diamond merchant Anuj who gets married to salesgirl Gauravi. The show starts streaming on AltBalaji from April 25. Baarish trailer: Asha Negi and Sharman Joshi starrer will stream on AltBalaji. A rich Gujarati boy Anuj (Sharman Joshi) meets Marathi girl Gauravi (Asha Negi), a simple woman who is good at speaking English. Both of them bond over vada pav and tea in the Mumbai rains. Gauravi likes a simple life without any miracles and accidents. For her, perfection lies in imperfection and relationships are best when they are imperfect. Eventually, these two different yet similar individuals fall in love and get married. This is how the trailer of AltBalaji’s latest offering Baarish unfolds. Headlined by actors Sharman Joshi and Asha Negi, the web show is a story of a diamond merchant Anuj who gets married to salesgirl Gauravi. But like every love story, it is not all roses. They encounter hurdles in their relationship when Anuj’s younger brother starts to question his decisions in life. Also, the trailer has a cliffhanger ending as Gauravi gets arrested by the police. Now, if problems in their family life will affect their relationship with each other or will they stand by each other in every hurdle of life, will be known on April 25 when the show starts streaming on AltBalaji. Asha Negi and Sharman Joshi in AltBalaji show Baarish. Baarish, just like many other shows on AltBalaji, seems to be packed with some soulful tracks. Asha Negi and Sharman Joshi make for a good on-screen pair and the show, helmed by Nandita Mehra and Bhairavi Raichura, looks promising.